Wild Duck was named after an early immigrant ship to Wellington run by the Shaw Savill company. She was built as a fishing boat by B.J.L. “Joe” Jukes at his yard in Balaena Bay, Wellington. Her fishing boat registration number was WN290. Joe Jukes (1889-1956) started in business in 1919 after serving his time with Ted Bailey at Aotea Quay and returning from the First World War. He rapidly established a reputation for sound craftsmanship and built some outstanding yachts, including Raukawa (1936) and several successful 14ft One Designs. His launches included Nereides (1925) and Vagabond (1926). 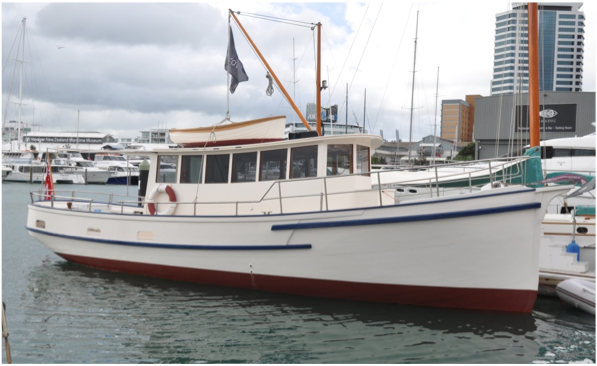 In her earlier years Wild Duck was owned by the South Seas Fishing Co and used as a tender to the Lyttelton-based ex-Hull trawler South Sea off the Chatham Islands. By the late 1930s she was back in Wellington as a general purpose vessel. 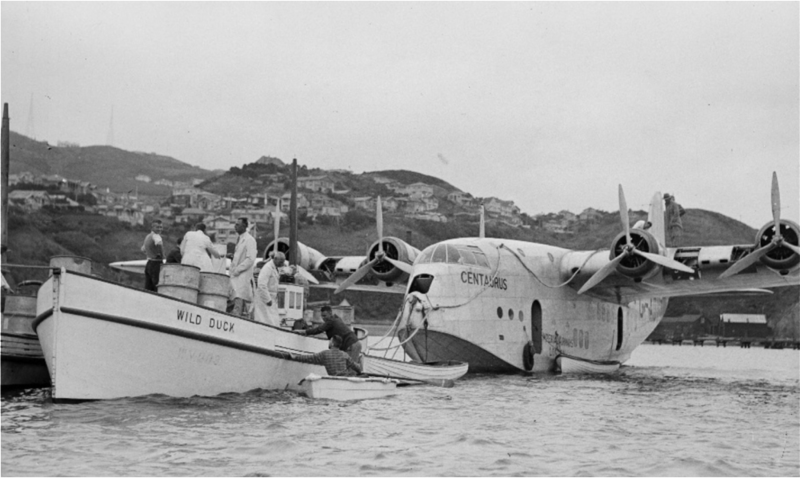 For example she was the vessel which refueled the Empire-class Short flying boat Centaurus in Wellington in January 1938. For several years Wild Duck was renamed Parera, the maori name for the grey duck, but has now reverted to her original name under the ownership of the Tino Rawa Trust. Wild Duck is currently fitted with a GM 371 diesel of 85hp and an Allison 3:1 hydraulic gearbox enabling a cruise speed of 9 knots. Wild Duck has undergone a final restoration for the past 8 months bringing her into line with all the recommendations from her recent survey. Replacement of the stem post and rotten keelson along with new floors and the replacement of broken ribs has taken place. The two existing steel tanks were removed enabling restoration work to be undertaken. They have been replaced with plastic tanks. A new engine room bulkhead has been installed and the entire vessels interior and exterior has been stripped, repaired, fared and painted. A new shaftlog, s/s shaft and bronze mounts have been fabricated and installed. A new wet exhaust has been installed as well.